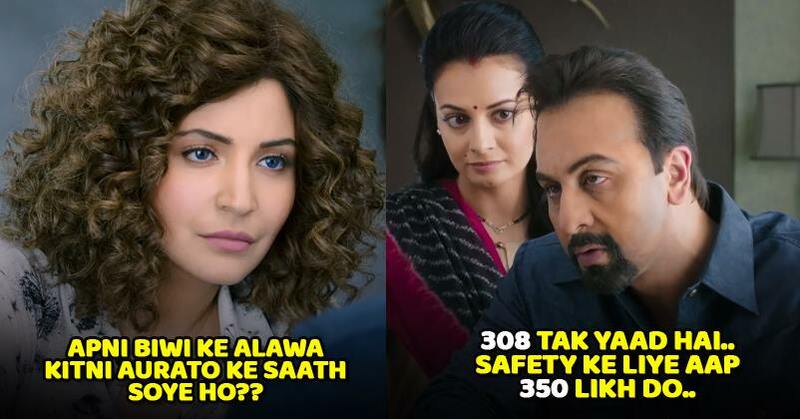 Director Rajkumar Hirani and writer Abhijat Joshi highlight the ridiculousness of the association, and decide to do some damage control themselves, and make a biopic that lends Sanjay a Munna Bhai tag, instead. So, you watch him humiliate one of his girlfriends and her father, or cheat on his best friend, but there’s never a sense of remorse or wrongdoing. Instead, the scenes are laced with humour and wit. Almost trivialising his shortcomings. “I’ve had roughly 300-odd girlfriends… Or, let me round it off to 350, just to be safe,” he chuckles, as the women in the scene grin. Or, when he cheekily tells his biographer that she’s lucky he’s going to prison or else there would’ve been trouble. Therein, lies Sanju’s problems. It’s more propaganda and laughs. “I’m Sanjay Dutt. And, I’m not a terrorist,” is what he often repeats, and would’ve worked as a title. Hirani never explores or delves deeper into the psyche of Dutt. You only see what Dutt wants us to see, focusing mainly on his strengths. Hirani resurrects Dutt as a worthy Munna Bhai. One who’ll walk away from the hero, despite the mess he created. His crimes are conveniently reduced to the media’s obsession with the question mark. And nothing more. Unfortunately, his life deserved a little more grit and insight. But Hirani manages to salvage some of the damage with a few standout moments. One where the father-son sit down to listen to the voice of the woman they both dearly loved, long after she’s gone, is deeply moving. Or, the one where Sanjay yanks out a toilet seat cover to garland a girl he dismisses for drugs is tackled with intensity. Ranbir Kapoor also steps up the game with his stellar performance. From the hair, to the costumes, to the body, to the body language, he effortlessly transforms into Sanjay Dutt. It could’ve slipped into mimicry, but Kapoor is far too talented to let that happen. It’s when the credits roll, and he slips back to being himself that you understand how far he’s gone to become Sanju. Vicky Kaushal backs him up as his loyal friend. Armed with a rustic twang, a ridiculous red coat and a heart of gold, he’s pitch-perfect. And, there’s the stalwart Paresh Rawal, who lends dignity and grit to Sunil Dutt. It’s when the three men join forces that the real fireworks happen. The women brigade, however, is not that impressionable. Each given roles that aren’t fleshed out. 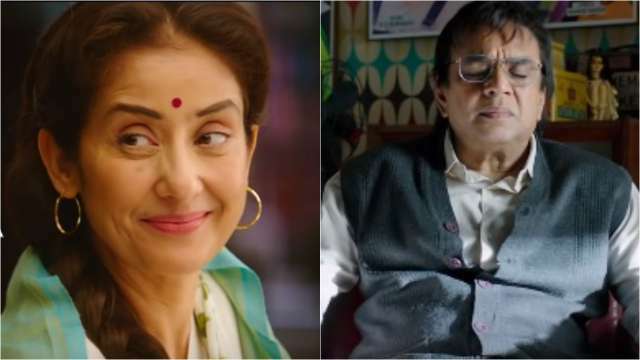 Nargis played graciously by Manisha Koirala, is never celebrated, and this when Sanjay is believed to have shared such a strong bond with his mother. His wife Maanyata, played by Dia Mirza, is also fairly bland. 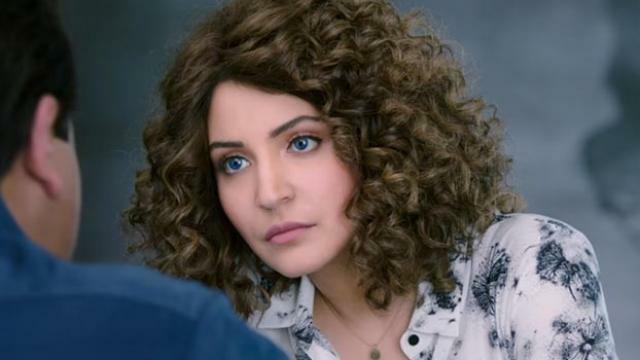 And, Anushka Sharma is handed another strange wig, after PK, and eye lenses to play the biographer. 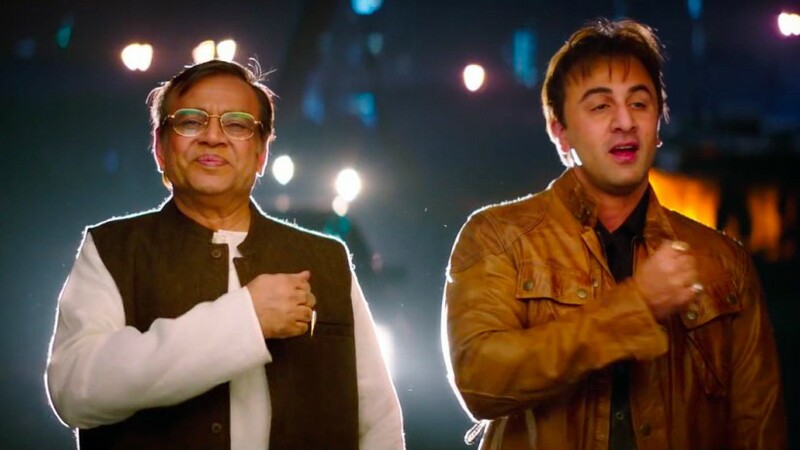 At 161 minutes of screen time, Hirani manages to give Sanju a massive ‘jaddoo ki jhappi’ like no other, and one that will surely win over many hearts.